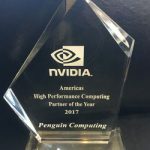 FREMONT, CA – April 26, 2018 – Penguin Computing, provider of high performance computing (HPC), artificial intelligence (AI), enterprise data center and cloud solutions, today announced that ANSYS, the global leader in engineering simulation software has promoted Penguin Computing to its highest technology partnership level, recognizing Penguin Computing as an ANSYS Advanced Solutions Partner. With this expanded partnership, Penguin Computing and ANSYS will also premier the first in a series of joint seminars. Beginning in Chicago on May 3, 2018 (with subsequent cities and dates to follow), the half-day seminar, Engineering Simulation on the Cloud, welcomes engineers and IT managers to learn how engineering simulation on the cloud provides flexible access to ANSYS® software and scalable high-performance computing (HPC) resources. 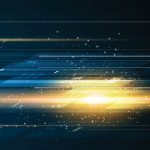 As digitalization progresses from trend to core competency, enterprises are increasingly adopting a cloud platform throughout all aspects of their businesses, including their engineering departments. Engineering innovation and success have become closely linked to the performance of compute-intensive, interdependent simulation tools. Computing throughput, and the number and quality of simulations an engineer can test, directly impacts the design quality, potential costs and overall risk. To meet this growing need, Penguin Computing partners with ANSYS to enable seamless, secure and affordable access to ANSYS software on Penguin Computing On DemandTM (PODTM), a true HPC-in-the-cloud platform, that scales on demand and helps engineers solve their tough engineering challenges. Penguin Computing has deep expertise in engineering and manufacturing and has delivered hundreds of enterprise-class manufacturing solutions, powered by its award winning HPC cloud platform, Penguin Computing On Demand (POD). POD is a cloud HPC service that allows organizations to utilize a high-performance, bare-metal, HPC computing environment in the cloud without having to invest in on-premise infrastructure. On POD, customers can take advantage of scalability and performance with expert support included in a secure on-demand environment. POD also offers a clear and concise billing model and no data transfer charges. The value of POD extends beyond engineering and manufacturing as POD’s bare-metal, InfiniBand on demand HPC compute clusters are ideal for organizations engaging in meteorology, biosciences, energy, design and finance – or any other organization with high-performance computing needs. Special Offer: All seminar attendees will be eligible for FREE trial access to 1,000 core hours HPC-enabled ANSYS simulation on Penguin Computing’s HPC Cloud platform: Penguin Computing on Demand (POD). Penguin Computing, Inc. is a 20-year-old, U.S.-based global provider of high-performance computing (HPC), artificial intelligence (AI), and data center solutions with more than 2,500 customers in 40 countries, across eight major vertical markets. Penguin Computing offers a comprehensive portfolio of hardware, software and services, including solutions based on the Open Compute Project (OCP), as well as financing and top-rated customer support. Penguin Computing products include Linux-based servers; software; integrated, turn-key clusters; enterprise-grade storage and bare metal HPC on cloud via Penguin Computing® On-Demand™ (POD). Visit www.penguincomputing.com to learn more about the company.